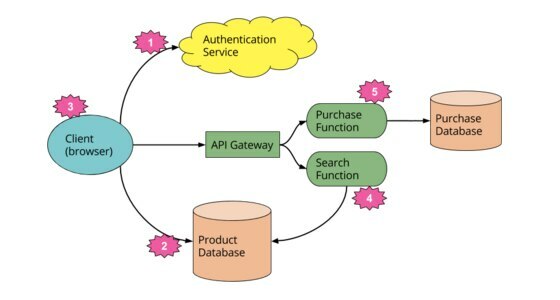 Serverless architecture is a software design pattern where applications are hosted by a third-party service, eliminating the need for server software and hardware management by the developer. The cloud provider dynamically manages the allocation and provisioning of servers. A serverless application runs in stateless compute containers that are event-triggered and fully managed by the cloud provider. Applications are broken up into individual functions that can be invoked and scaled individually. Pricing is based on the number of executions rather than pre-purchased compute capacity. Function as a Service, or FaaS, is an implementation of serverless architectures where developers can deploy an individual function or a piece of business logic. They start within milliseconds (~100ms for AWS Lambda) and process individual requests within a 300-second timeout imposed by most cloud vendors. Popular FaaS services are AWS Lambda, Google Cloud Functions and IBM OpenWhisk. Key properties of FaaS are it is Independent server-side logical functions, it is Stateless and event-triggered, Scalable by default and Fully managed by Cloud provider.